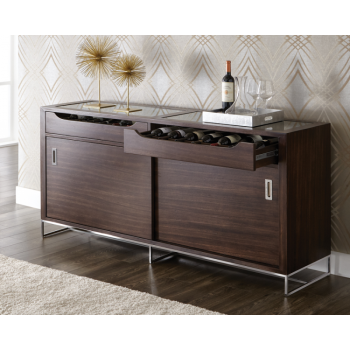 This exquisite sideboard balances fine form and function with wine storage and display through a tempered glass top. Ample drawer and shelving space. Finished in a rich dark zebra brown with a stainless steel base and hardware.